Binding Protocol is a key component in the operation of load balancing. 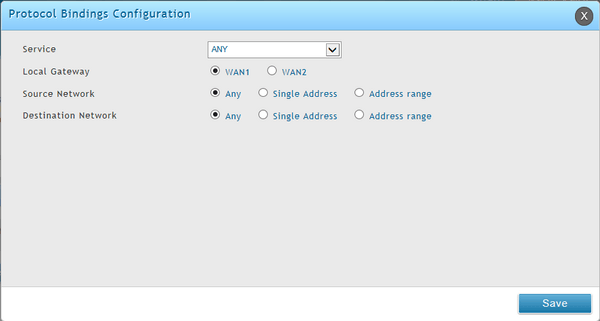 This protocol allows a specific service to be associated with one of the WAN links available. Click “Add New Protocol Binding” to add a new rule to the list. The user specifies the service name, choosing from a list of predefined or custom services. Security > Firewall > Custom Services - click “Add New Custom Service” and you can create new customized service.